A bag of warm crackin from Juneau's in Marksville, LA. -- A true delight! Perfectly seasoned. 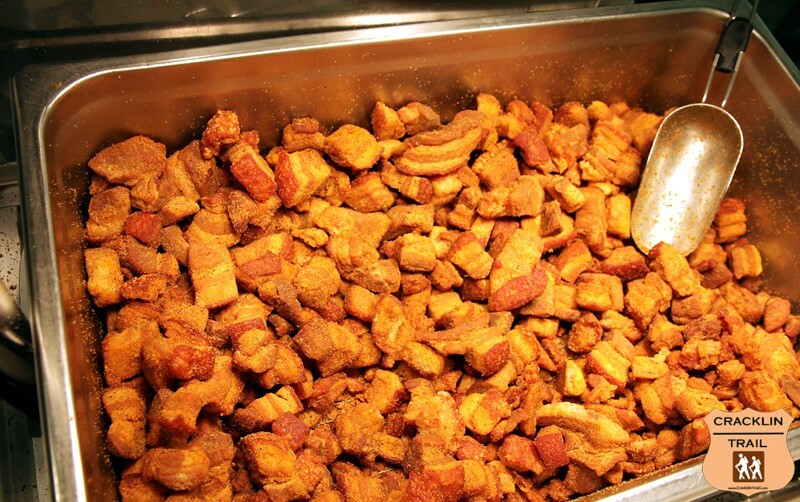 Perfectly crunchy, meaty, fatty, flavorful and juicy. 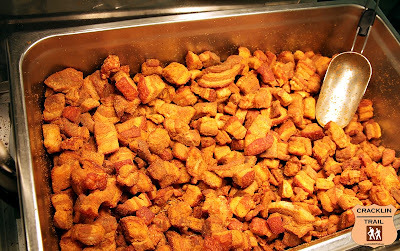 These are some of the best cracklin you're likely to find. Anywhere! They tasted fresh and clean. Made us want to just keep reaching for another nugget all the way back to Lafayette. Juneau's is truly awesome. Price = $13.99 per lb. You need to have a website so you can cash in with online orders from all over the world. I had to order from Best Stop and other places that take online orders. Would have LOVED to order some for Christmas gifts. Must sell online! Missing LOTS of revenue! 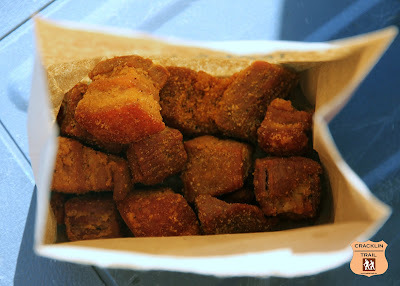 The best cracklins I've ever had. I wish you guys shipped orders.